To support the community mental health and addictions sector in responding to the needs of Syrian and other refugee populations, CMHA Ontario developed four free webinars. Each webinar is designed to provide people and organizations in our community mental health and addictions sector with information, tools and resources that can inform our work with marginalized populations. Recorded webinars can be viewed below. Speakers: Dr. Branka Agic, Centre for Addiction and Mental Health & Mahmoud Allouch, Syria Project Coordinator at the Arab Community Centre of Toronto (ACCT). Visit our speakers spotlight page for full speaker bios. Description: During this session, Dr. Branka Agic will share information about key mental health concerns for refugee populations in Ontario, challenges and opportunities for service delivery and where to find more information and training on this topic via the award-winning Refugee Mental Health Project. The Refugee Mental Health Project aims to build settlement, social and health service providers’ knowledge and skills regarding refugee mental health and promote inter-sector and inter-professional collaboration. Mahmoud Allouch will share information about the Arab Community Centre of Toronto, the Syrian population that is arriving in Ontario, and potential service and accommodation needs for providers. Speakers: Dr. Priya Raju and Dr. Debra Stein, Child and Adolescent Psychiatrists, Hincks-Dellcrest Centre. Visit our speakers spotlight page for full speaker bios. Description: During this dynamic and interactive webinar, Dr. Priya Raju and Dr. Debra Stein will discuss key mental health concerns for refugee children in Ontario and offer practical suggestions on how to enhance mental health service delivery for this population and their families. The webinar will be conversation based with lots of opportunity for participant questions. Together, Dr. Raju and Dr. Stein lead the Migration Consultation Unit, a teaching unit with expertise in issues of resettlement and acculturation and have extensive experience in the areas of trauma, refugee mental health and other marginalized populations. Speakers: Jane, Maya and Sujatha, The Opening Doors Project, CMHA Toronto. Visit our speakers spotlight page for full speaker bios. Description: In this narrative based webinar, participants will learn more about the impacts of migration on mental health for people arriving in Ontario. Jane, Maya and Sujatha will share their personal stories of mental health and migration, answer participant questions about their experience, and share information about how community mental health agencies across Ontario can enhance their own capacity to respond to immigrant and refugee needs by working with the Opening Doors Project. 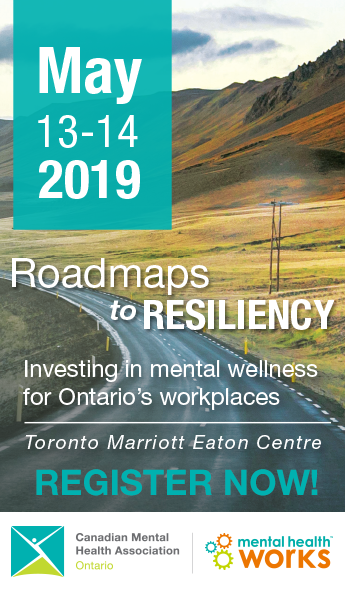 Speakers: Sheela Subramanian, Policy Analyst, Uppala Chandrasekera, Director of Public Policy, CMHA Ontario and Deqa Farah, Mental Health Promoter, Fred Victor centre. Visit our speakers spotlight page for full speaker bios. Description: During this webinar, Sheela, Uppala and Deqa engage participants in an interactive conversation about ways that equity and mental health issues interact in Ontario. The social determinants of health, including experiences of migration, poverty or racism, can significantly impact on mental health. But poor mental health or mental health issues can also complicate experiences of migrations or inequity. CMHA Ontario has developed a dynamic framework to help us understand and talk about equity issues in mental health. This framework uses clear, plain language and infographics and has been well received by health and community stakeholders as well as members of the public.